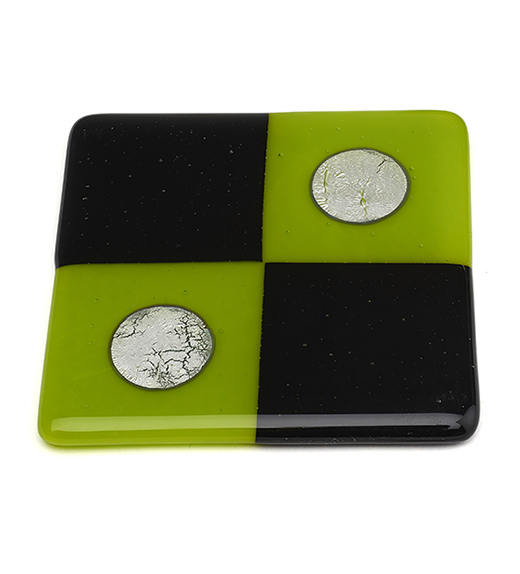 A funky retro coaster with black and spring green glass and silver foil circles. The coaster measures 10cms x 10cms. 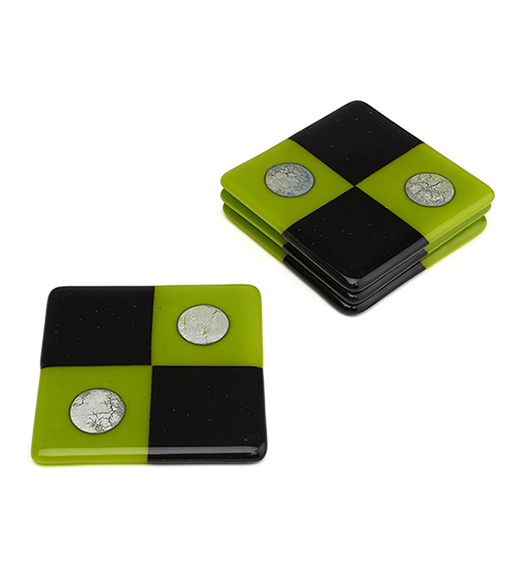 Each coaster has rubber feet to protect your furniture. Please note that as all coasters are handmade, they may vary slightly depending on their position in the kiln, amount of glass used etc.